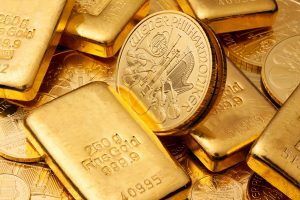 Gold has posted considerable gains in Wednesday trading, continuing the upward movement seen on Tuesday. In the North American session, the spot price for one ounce of gold is $1308.38, up 0.54% on the day. In the U.S., durable goods orders gained 0.4%, compared to an estimate of -0.5%. Core durable goods orders declined by 0.1% shy of the estimate of 0.1%. Inflation indicators remain low, as PPI and Core PPI both came in at 0.2%. On Thursday, the U.S. releases unemployment claims and new home sales. U.S. consumer inflation remains well below the Federal Reserve’s target of 2.0 percent, so there is little pressure on the Fed to raise rates anytime soon. Policymakers have been signaling that the Fed could stay on the sidelines until the second half of 2019, and this stance was underscored by Fed Chair Powell, in a television interview on Sunday. Powell left no doubt about where the Fed stands, saying that the Fed would remain patient and was in no hurry to change interest rate policy. The dovish stance of the Fed could weigh on the dollar and boost gold prices, as a lack of rate hikes makes the greenback less attractive to investors. Gold tends to move higher in times of uncertainty, and the crisis around Brexit has boosted gold prices on Wednesday. Prime Minister May suffered another defeat in parliament on Tuesday, as lawmakers once again overwhelmingly rejected the government’s withdrawal proposal. despite extensive lobbying by May. Later on Wednesday, parliament votes to rule out a no-deal Brexit. Parliament is badly fractured over Brexit, but few MPs want to crash out of Europe, which could have a devastating effect on Britain’s economy. The no-deal proposal is likely to be adopted, which means that parliament would vote on Thursday on a request to extend Article 50, the mechanism for Brexit. However, it’s far from clear how long the delay would last, or if the E.U. would agree to an extension. With more drama expected in parliament in the next 48 hours, traders should be prepared for further volatility from gold.